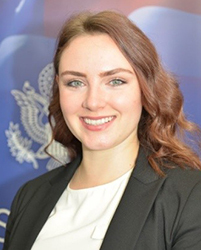 Elizabeth K. Philipp was a Scoville Peace Fellow with the Arms Control Association from September 2015 until June 2016. Her research and analysis focused on North Korea’s nuclear weapons and ballistic missile programs and multilateral disarmament efforts. Prior to joining the Arms Control Association, Elizabeth completed two years as a Fulbright fellow in South Korea, where she taught conversational English, American culture, and international affairs at a local high school and within her local community. Elizabeth holds a BA in Global Studies and Psychology from the University of Illinois at Urbana-Champaign, with a concentration in global security.